Looking to hire or buy a marquee in Great Yarmouth? We supply marquees you can use all year round. Weatherill Brothers marquees are a long standing family business, and we’ve been making, selling, and hiring marquees for over 60 years. 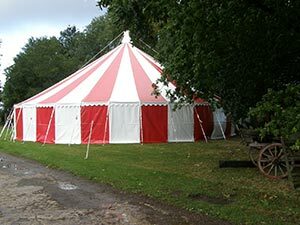 We’ve been based just outside Norwich and hiring marquees to the Great Yarmouth area since 1981. If you have a venue and you’d like to create more space so you can earn more income, or you have some special events planned at the venue and would like to hire a marquee, please give us a call. Alternatively, if you’re a private individual and want to enquire about hiring one of our marquees for a wedding or private party, please get in touch too… you can reach us on 01953 882 394 or email sales@weatherillbrothers.co.uk and we’ll let you know how we can help. When we meet with you, we take the time to discuss all the things you may need at your event. Our many years of experience means we’ll ask the right questions, and may come up with suggestions you haven’t thought of yet. If needed we’ll arrange a site visit, or you’re welcome to come to our showroom to view things like interior linings, marquee furniture, and lighting. When your event takes place, our knowledge and attention to detail will really show, allowing you to relax while we take care of business. We will adhere to any schedule so things are kept on time, and, if you require one, we can provide you with a Weatherills assistant to be on hand throughout. Any vehicles we bring on site will be in pristine condition, and our workforce will be uniformed.